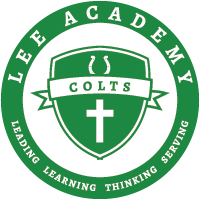 The Basketball game at Lee Marianna tonight has been cancelled! Basketball games tomorrow at Lee Marianna starting at 3:30. Girls B Team will start. There will be no B Team Boys game. An admissions counselor from Phillips will be in the library Thursday during Student Support to talk to Juniors and Seniors interested in Nursing. Seniors attending Delta State in the Fall - See Mrs. Antici for a scholarship opportunity. There will be a large variety of delicious casseroles and desserts. Let us help you with your holiday meal. Please come help support the school, and invite your friends and family. We hope to see you there! The due date for Operation Christmas Child Shoe Boxes for Christmas is today. 10th-12th graders may sign up for the Christmas Dance in the office. You and your guest must have a wristband. Wristbands are $15. You and your guest must sign a contract. The Deadline to order Christmas Dance T-shirts is TOMORROW. T-Shirts are $20 Navy Comfort Colors "Winter Wonderland" is theme! A preview of the shirt is available in the office.